Yukiko, the Stormdancer started a whole lot of things happening when she assassinated Shogun Yoritomo. The rebellion, The Kage, were given new inspiration; The Lotus Guild sees a way to increase their influence and civil war looms as a new Shogun needs to be found. There is a candidate who does not come from one of the predicable places, he has a drive to kill Yukiko that over rules anything else. He will rule and he will bring the downfall of the snip of a girl he thought he loved. To do this he forges an alliance with The Lotus Guild. Yukiko is being hailed a hero but she is consumed by rage at her father’s death and the increase in her Kenning ability. It is becoming so much stronger and she battles to control it. Kin, once Guild member, who made it possible for Yukiko and Buruu to escape tries to find his place in amongst the Kage rebellion but the distrust between them and who he was is strong. The Stormdancer’s influence has reached into the very city of Kigen, where one who thought she could never amount to much has realised that sometimes you have to stand up and fight if you want things to change. 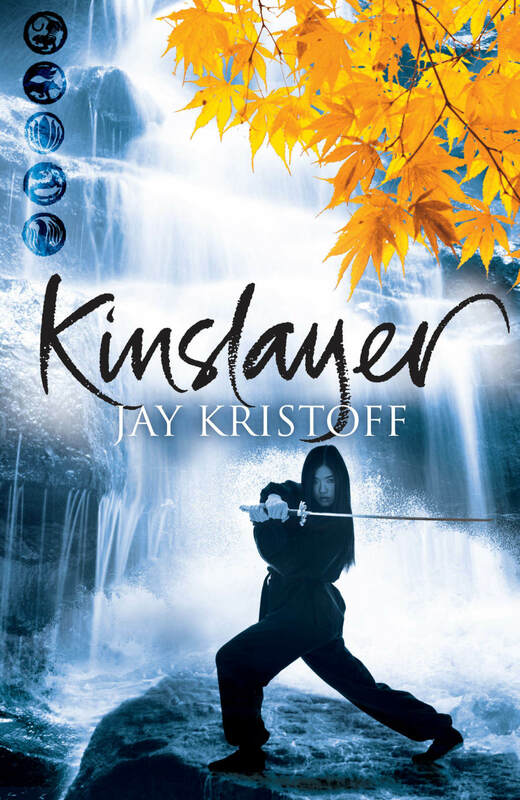 Kristoff builds a solid sequel on the foundations of the first book Stormdancer. It is a nuanced tale filled with pain and struggles. It is not simply a case of good and evil fighting, it is a case of shades. This story is made more real by the author making things not quite so clear cut. Yukiko’s battle with her rage and trying to come to terms with who she is and who she can be, is bleak in places. It is no easy path she takes. It is that very bleakness that pulls you along in the story. You want to follow her, you want to see her come out the other side. The bond between her and Buruu is tested and much is learnt through this process. Their relationship is a fascinating aspect to this story. Kin’s struggle to fit in is heart wrenching at times. He battles his own demons and those of the Guild he came from. Two other key characters Michi and Hana, give this story depth from other perspectives. These women fight for their own reasons and their drive makes the story all the more tangible, you can feel their fear and their passion. 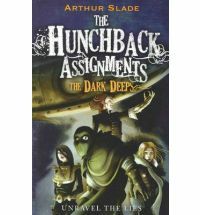 Darker than the first, it is still a wonderful read. The world seeps off the pages as you sink into the grittiness of it; the difference of the classes and the anguish of survival. You want to embrace it, it is the sort of book you want to put the time aside to read and the sort of book that makes it hard to pick up when you only have a few minutes because you know you will find it hard to put down. I cannot wait to find out where Kristoff takes these characters next. Sophronia is fourteen and a great trial to her mother and sisters. She simply doesn’t want to be a good lady, there are so many other things that hold her interest, such as how things work and spying on people. The family’s only hope is that finishing school can fix more than just Sophronia’s terrible curtsy. Sophronia finds herself enrolled in Mademoiselle Geraldine’s Finishing Academy for Young Ladies of Quality. Sophronia hasn’t even arrived at her new school before she realises things are not at all what they seem. She soon discovers that in addition to dance, dress and etiquette she is to learn modern weaponry,intelligence gathering, seduction and poisoning just to name a few. As far as Sophronia is concerned things are definitely looking up. This was rip roaring fun. 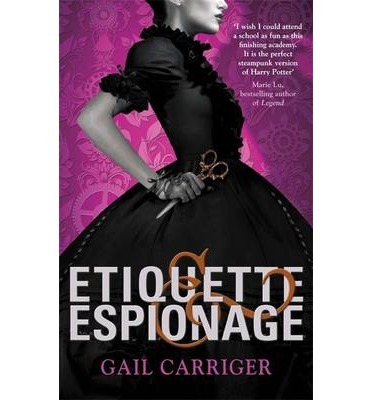 The primness of Victorian manners and espionage create a great juxtaposition for a background. Carriger has taken the style of her Souless series and efficiently transplanted it into a new an extremely enjoyable young adult series. Sophronia is huge fun, she is adventurous, smart and quick thinking. Her mechanical pet is a quirky addition to the plotting as well as a very useful device. If you are anything like me you will find favourites amongst the support players, they are varied, there for different reasons and they add wonderful layers to the story. The humour is dry and writing full of wit, plenty of strong female characters who think, take action and don’t need rescuing. The background is a solid, visceral world that draws you in and makes you firmly believe. If you like a good bit of espionage or are a fan of steampunk then this is a series you will love. Modo steps out of his London comfort zone as he is thrust into the world of international espionage. Something has been happening in the waters, there are rumours of a lethal and mysterious underwater creature. He is not the only one on this trail. He is paired up with the beautiful Octavia and this adds further complications to his life. This journey leads Modo to an incredible machine called the Ictineo, a remarkable feat of machinery, and an incredible underwater city. Along the way he is separated from Octavia and confronts French spy Colette. Modo isn’t sure how he will ever complete his mission for Mr Socrates. The Clockwork Guild are not inactive though and play a key role in this mission as it unfolds. What is Dr Hyde’s hideous new experiment ? Will he be able to stay out of the hands of long-time enemy Miss Hakkandottir? 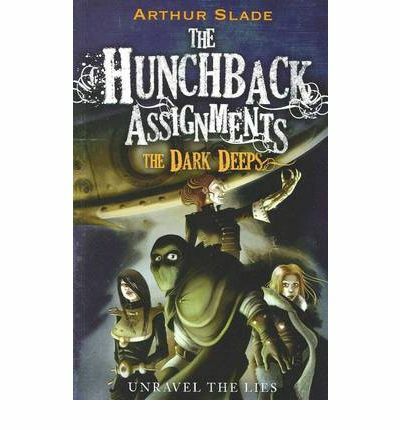 A great followup to the first book. Modo is a wonderful character; brave, smart and willing to do his best. At the same time he is always self conscious about his appearance. He is scared to reveal his true self to anyone and this colours so many of his actions. His two female companions in this keep his biggest secret foremost in his mind. Both Octavia and Colette are strong female characters, more than capable of keeping up with being agents like Modo, on some cases surpassing him. The bad guys are cold and deeply nasty. Griff with his twisted nature, Miss Hakkandottir with her bitter, vengeful heart, and Dr Hyde with his evil experiments. Slade has created a complex world that is well coloured and layered. The steampunk elements are both intriguing and terrifying. The underwater elements fantastical and inventive. I love the steampunk genre and Slade hasn’t let me down. Adventure and fantasy mix so well together, if you like this sort of this definitely give this a shot, and even if you’re not familiar with the style take a look, you might be pleasantly surprised. This is the second book in The Extraordinaires series. Oh oh oh, you know I love Michael Pryor Books, now I just need pay day to rock around so I can get this one, that and for it to be out. It has an April release date.